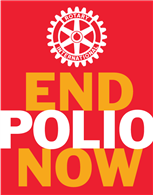 Bookings for our wonderful celebration of our Rotary Foundation on Monday 26th November are coming in steadily now. 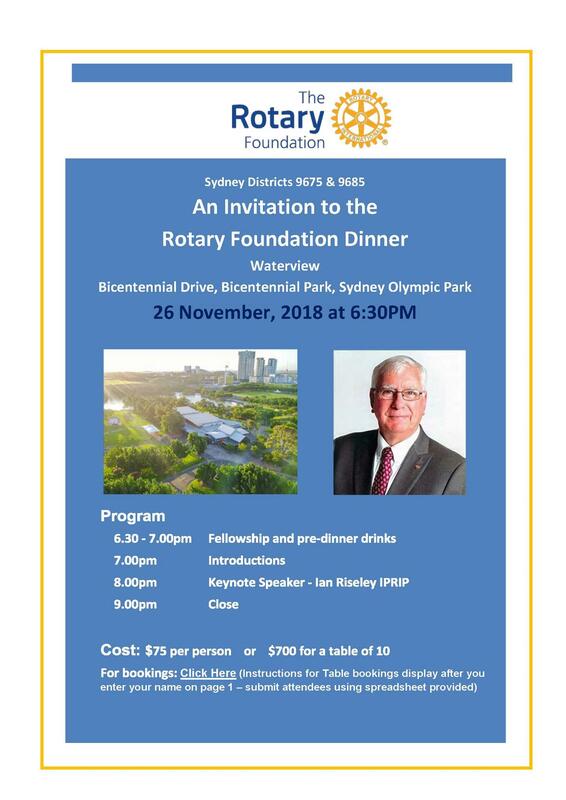 It would be great to have a record attendance of D9685 and D9675 Rotarians, partners, and friends at our dinner with Past Rotary International President Ian Riseley as our Guest Speaker. PRIP Ian will also make a very special presentation to a Sydney based recipient of a Peace award which is only awarded in the year to one person world wide. Bookings are closing on Sunday 18 November. Our numbers needs to be finalised for the catering, so I urge you to get those table bookings in for your club as soon as possible. And for those of you coming individually we look forward to you registering as soon as possible now. We welcome you to a great night of fellowship and learning more about our Foundation.